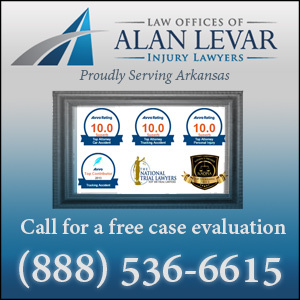 Complete Van Buren County, AR accident reports and news. In Van Buren County, statistics from the National Highway Traffic Safety Administration show that traffic crashes remain a primary public safety issue. Car, truck, bicycle, pedestrian, and motorcycle accidents are all a common occurrence, despite improvements in vehicle safety features, road design, bicycle and pedestrian corridors, and traffic signs. After a Van Buren County accident, there are many issues that need to be handled immediately. Dealing with doctors, repair shops, car rental companies, police, and insurance companies is overwhelming, especially when someone is seriously injured. At this point, many injured people choose to hire a personal injury attorney whose job it is to handle the details and paperwork so that you can focus on recovery. Since there is no cost to speak with a lawyer, it is a good idea to learn more about your potential personal injury claim. Connect with an experienced Van Buren County injury lawyer who can provide you with information about your rights and options. Go here to get a no-cost legal claim evaluation. Ricardo Trochez, 40, and Hubert Keith Moore, 51, killed and 19 injured in logging truck accident on June 2 U.S. Highway 65 in Clinton. A blown tire caused a logging truck to lose control and spill its cargo onto a group of construction workers, killing two and injuring 19, state police said Tuesday.